Popular Cinematographer - Director A Vincent no more! Indian cinematographer and director Aloysius Vincent died here Wednesday at a private hospital. He was 86. Home » Dead » Popular Cinematographer - Director A Vincent no more! "He passed away following prolonged illness," a family source told. Vincent started his career as a guest cinematographer in 1953 Telugu film "Chandi Rani". In the same year, legendary Telugu actress Bhanumathi recognized his work while he was associated with Gemini Studios. She introduced him to her filmmaker husband P. Ramakrishna, who launched Vincent as cinematographer in his Telugu film "Bratuku Teruvu". Besides working predominantly in Tamil, Telugu and Kannada film industries, he also worked on a few Hindi films. 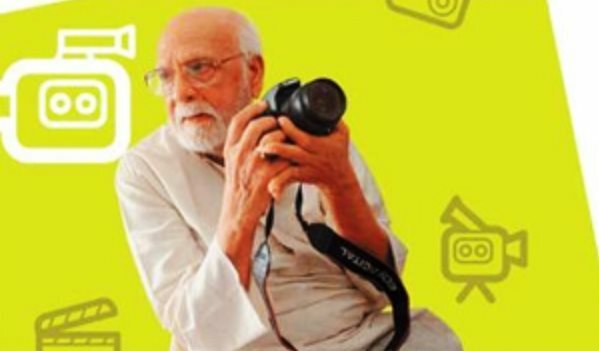 As a lensman, his work is remembered in films such as "Nadhi", "Bhakta Prahlada", "Enga Veetu Pillai", "Adavi Ramudu", "Adimai Penn", "Vasantha Maligai" and "Prem Nagar". In Hindi filmdom, he worked on movies such as "Meherban", "Madhavi", "Bandish", "Dil Ek Mandir" and "Mahaan". In his Malayalam debut movie "Neela Kuyil", Vincent, for the first time, introduced natural colours for the sets, though he was shooting with black-and-white film. Vincent was credited with having introduced the zoom shot in Indian cinema in the 1958 Tamil film "Uthama Puthiran", starring Sivaji Ganeshan. He worked as cinematographer in over 150 films, his last being 1997 Telugu film "Annamayya". He also directed about 30 films, mostly Malayalam. Some of the films were "Bhargavi Nilayam", "Murrapennu", "Nagarame Nanni" and "Asuravithua". In 2003, Indian Society of Cinematographers (ISC) awarded him an honorary membership. He is survived by two sons - Jayanan Vincent and Ajayan Vincent - who are popular cinematographers too.